After a 5 day tour of Phu Quoc, Quang Binh and Ho Chi Minh City to visit some of the sponsors of the 2017 pageant, the new Miss Grand International, Maria Jose Lora, has arrived in Bangkok, Thailand where she will be based for the next year as she works for the MGIO. Lora arrived alongside Miss Grand Thailand, Premika Pamela, and was met by the President of MGIO, Mr. Nawat Itsaragrisil, who welcomed her to her 'second home'. 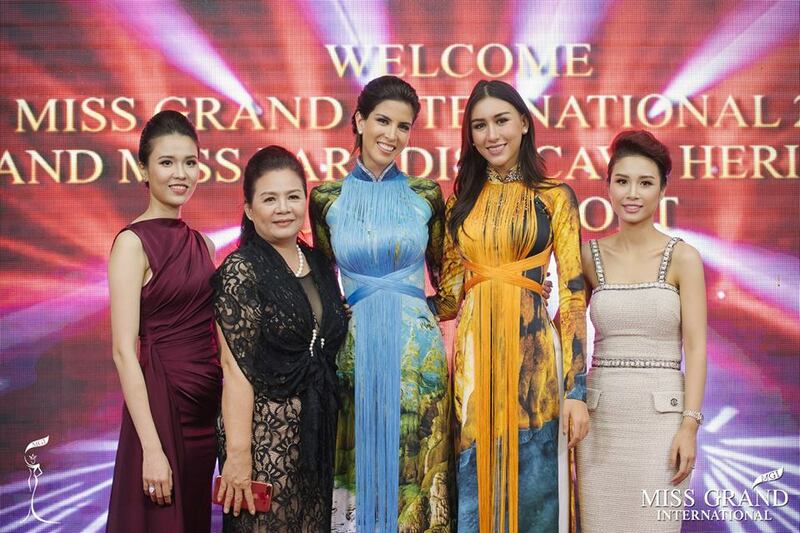 Photos courtesy of Miss Grand International!